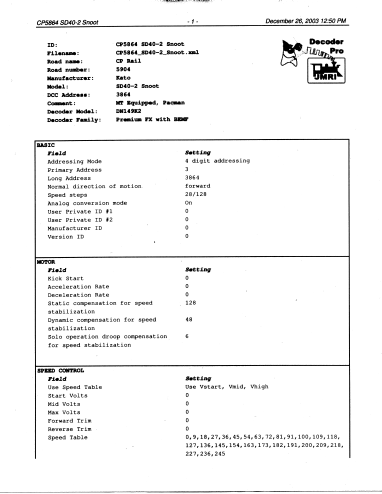 Print Data: DecoderPro provides the capability to print out a full list of the decoder CV data or selected data. 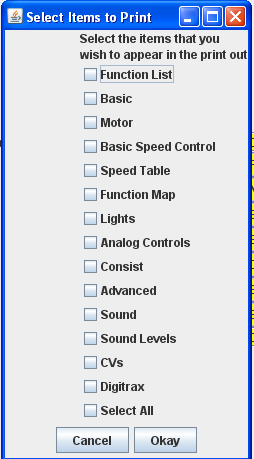 To print, select the File menu of any Comprehensive Programmer Pane, then select the Print or Print Preview options. 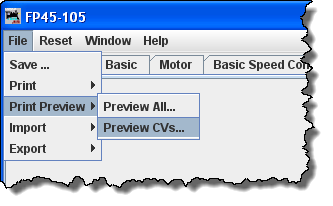 Click to print then Print dialog for your computer system is displayed. 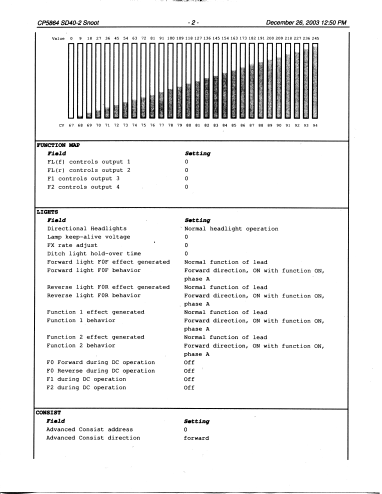 These printouts show the variables by name in each category that is selectected. (as shown on the DecoderPro panes) along with their CV number and Value. A handy reference for the future. Print preview will look like it's about to print the list, and ask for which printer to use. Don't panic!, that's only to get the preview to work. Go ahead and select the printer and you'll only get the preview. Import Data: You may import the list from another computer in the PR1 file format. Thus, the Export and Import capability allows you to take the data from one computer system to another. 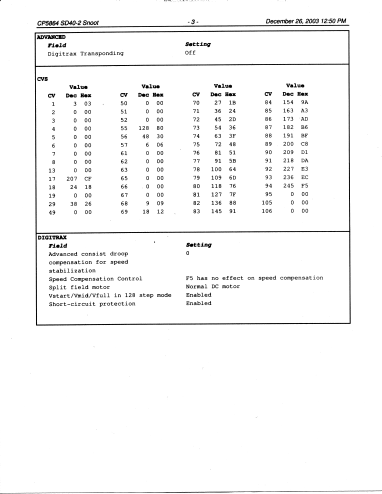 The three images below are samples of the "All" printout from the SD40-2 that has been used as an example in many places in this manual. Click on the page to see a larger image in a new window. OK! That's it! 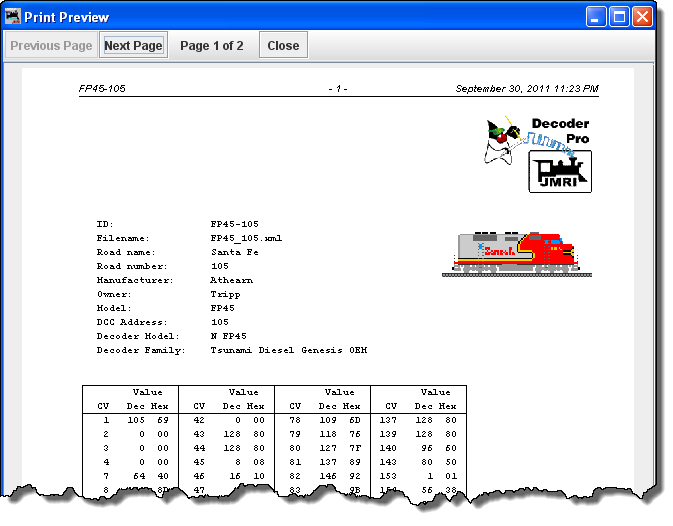 You now know how to use DecoderPro to program your decoders, and document the results.. Now let's run trains!